Sleep Sense Program Review. When your baby keeps you up all night long and you can’t get more than two or three hours of shut-eye at a time, it can feel like your whole world is falling apart. You’re exhausted. You can’t think straight. Your nerves are completely frayed. In other words, you’re not exactly at your parenting best. And your child isn’t at his or her best either. When babies and children don’t get a full night’s rest, everything is harder for them. They are fussy and cranky all day. They don’t eat right. Learning basic skills is more challenging. Sleep deprivation starts to take a toll on the whole family. I know I have been there! Don’t want to read a book? But still need help getting your baby to sleep? Personalized one on one help available now! Before I even purchased the program, I became a fan on Dana’s Facebook page and saw a lot of really great comments about her sleep training methods. Those are real people on there and real comments, no marketing and no gimmicks. Each day I read testimonials and success stories, and saw that she’s obviously helped a huge number of families! These families were a real inspiration and the reason I decided to give the Sleep Sense a try. I see nothing but great things being said about this program and Dana Obleman herself. She’s helped so many people with a success rate in the 90’s in getting babies to sleep through the night. and Get Bonuses for FREE! Here is a comment a Father…yes a Father, posted on her page. It’s kind of long but I just had to share. “Not sure if this is a real email address or not, but I wanted to send a response. My wife and I have been struggling with our 5-month old to sleep (naps and at night) since we brought her home. She rarely slept more than an hour at a time at night and rarely napped for more than 30 minutes during the day. We have been suffering from sleep deprivation for many weeks, and although I think we inherently knew we were doing something wrong, we were simply too tired to think straight. I signed up for your program yesterday morning after a HORRIBLE sleepless night and forwarded the user and password information to my wife at home. She began reading the material almost immediately and called me in tears saying how many mistakes we’ve committed and bad habits we’ve instilled in our daughter. The way you laid it out really made sense to us and gave us hope from the very beginning. We read the material together aloud yesterday evening and put the bedtime routine into action last night. Abigail slept for 12 straight hours: from 7:30 pm to 7:30 am. We woke to my alarm in stunned disbelief. We look forward to daytime naps that will allow us to exercise, clean house, or even relax. We are craving the adult time we can enjoy by putting her to bed earlier and going out for dinner together. But most importantly, we look forward to the happy, giggly times lasting longer and knowing that our daughter is getting her proper rest. As parents, we can tell that she has been WANTING to sleep and was getting frustrated that she COULDN’T!! She didn’t know how, and you’re helping us teach her. Your program is not rocket science. The principles are simple and straightforward–as were reading we kept saying “that makes total sense.” The value in your program is the way you lay it out, the plain language you use to describe your ideas, and the kind way you point out the mistakes we’re making. Thank you very much for making your product available…what a difference a day can make. This morning, I drank a cup of coffee because I like the taste…not because I needed it to stay awake on the drive to work. I am near tears of joy as I write this to you. Thank you SO much for your blog AND for recommending Sleep Sense. 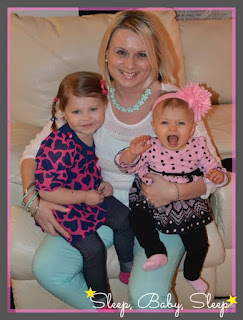 I’ve resorted to your blog since our daughter was born in January of 2014. I found it immediately spoke to my “mama gut” in a way that was realistic. You never recommend the impossible. Along those same lines, after our daughter was sick for nearly a month…followed by an allergic reaction to antibiotics…her sleep schedule was unmanageable. I purchased Sleep Sense. We are on night two (it is as I write this) and Norah has been asleep since last night. I am so grateful for what this means for her development and our family’s happiness. We are still working on longer naps, but this step feels incredible. Thank you so much. Please keep writing! I read every word. This type of feedback is exactly why I recommend the Sleep Sense Program, many other books and programs just don’t compare. Trust me I have read them all:) Most of the other books or programs, give you tons of tips, but no definite plan. This is exactly what the Sleep Sense does. It gives you a step by step plan for each night, and a clear explanation as to why you are doing what you are doing. This is why I believe so many people have been successful with it. 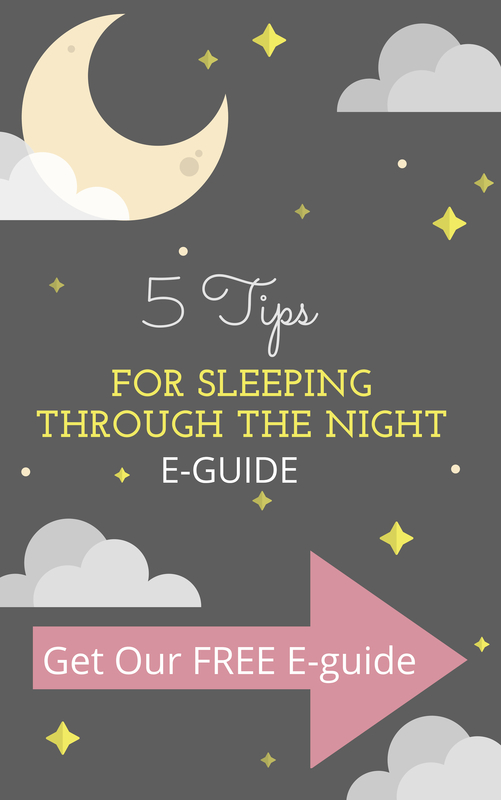 If you are going the route of a sleep program/guide, then this is definitely the one. The Sleep Sense also has videos and support available in the form of different prices packages. Do yourself a favor and get the extra perks. They are so worth it! 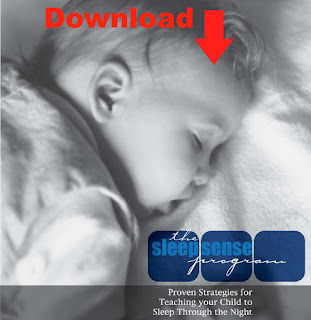 The Sleep Sense PDF is now available for immediate download so you don’t have to wait to start. 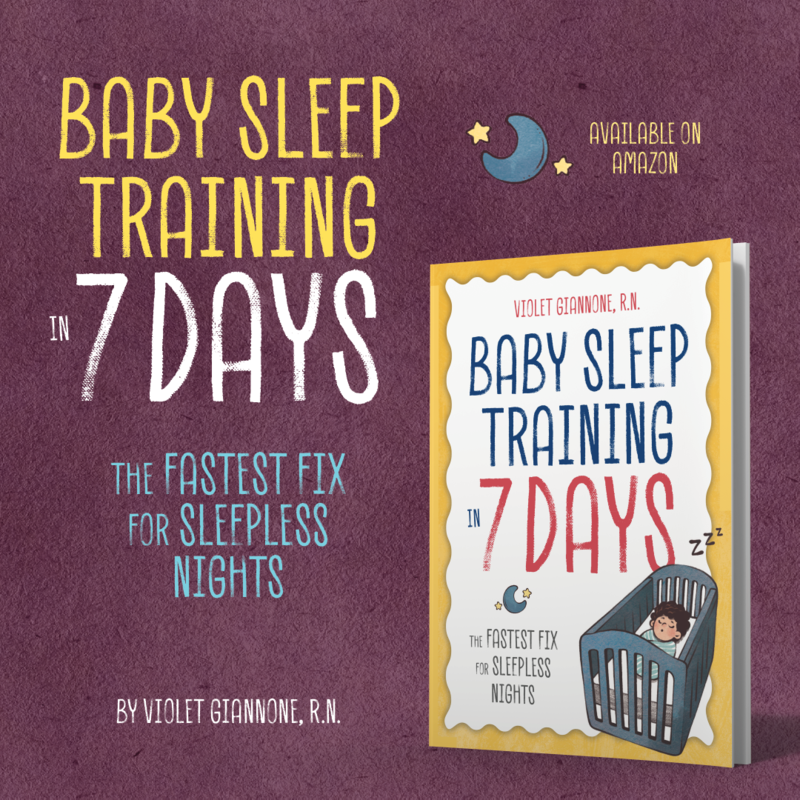 Violet–Thank you for responding to my earlier comment under your sleep regression article (re: 4 month old waking very frequently). Do you think the sleep sense program would be good for me? I'm so tired I can't think straight. Is it truly easy to follow and use right away because if I have to read through a ton of material, my brain will explode! Also, will it require me to "tough it out" through lots of crying because I just can't. It seems affordable at least. I've just wasted quite a bit already on things that didn't help. Does this really offer something different than what I've already heard/read? Thank you, again! Hi again! I totally understand how exhausting this can all be. 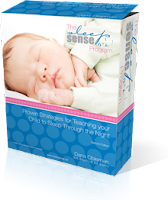 If your already at your wits end and don't have any more energy to spend on, this then Yes the sleep sense program would definitely benefit you and your family. It's very easy to use. It does not require that you "tough it out" or leave your baby alone to cry. It's a very gentle, caring, and still effective program. I try my best to help families like yourself so you don't have to spend the money, but when I can't, I recommend the program. I owe alot to the sleep sense program, I have learned so much from it. I think you will be highly satisfied. Good Luck, Please let me know how it goes. Dear Violet, my baby is 11 weeks, and her prop is the dummie, I was wondering is she is too young to wean her off the pacifier. To be honest with you I have to wake up several times at night to put back in, I'm sleep deprived and so tired. There are many pros and cons to having a dummy, so it will be up to you if you want your little one to keep it. However if she is waking many times a night just for you to put it back in, then it would best to take her off, as that is disruptive to her sleep. Good luck, let me know if there is any other way I can help! Absolutely not. It talks about tears realistically because there will be some tears since you are changing your baby's routine. But the program teaches you exactly how to respond. The program does not make you leave your baby to cry it out. Is there a free pdf available for this program? We are 7 months into our sleep deprivation. My sweet girl is able to fall asleep fine by herself but wakes up 4-5 times a night crying and usually the only way that I can get her to go back to sleep is by feeding her. I know for a fact that she consumes enough durring the day but at this point I am soooo exhausted that i am willing to cave just to get a few minutes of shut eye. I know that this needs to stop and soon. We had attempted the cry it out method a few weeks back because we are honestly grasping at straws at this point. I could not handle it. It made me feel awful. To the point that I cried myself to sleep. Yes it is in a PDF version, so once you purchase you can download and get started right away! Do you think this program would work for our just turning 3 yr old? She wakes up just about every night after 6 hours of sleep and comes down to our bed. We can't seem to break this habit!! Yes there is a section in the program dedicated to your exact situation. Hi Violet my 6 almost 7 month old used to sleep in his crib for 8 hr stretches then 4 months came he started teething & started waking up in the night crying. The only thing that would stop him was the breast. Since then he sleeps in bed with us & wakes so much times I can't keep track & will sleep for max 2 hours. I need help n wondered if u would recommend your sleep training or the sleep sense? Praying something will work because we ALL need our sleep..
Hi there, I'm wondering if it is too early to start using the Sleep Sense program with my 8 week old daughter? We are starting to get her into bad habits of only being able to fall asleep on our chest for naps and nighttime. Thanks! 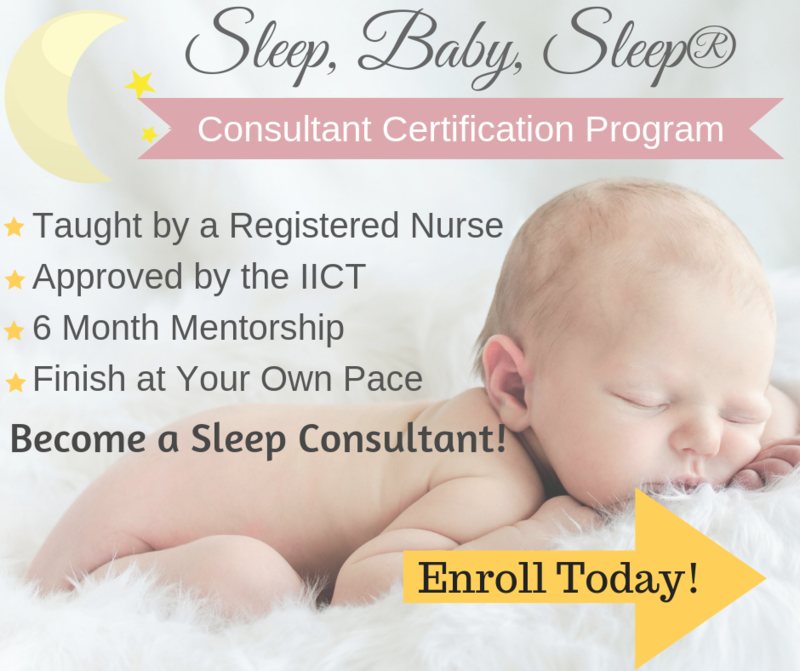 The sleep sense program can be started even with young babies. Upon purchase you will get to choose a program based on your baby's age. Good luck, hope that helps!